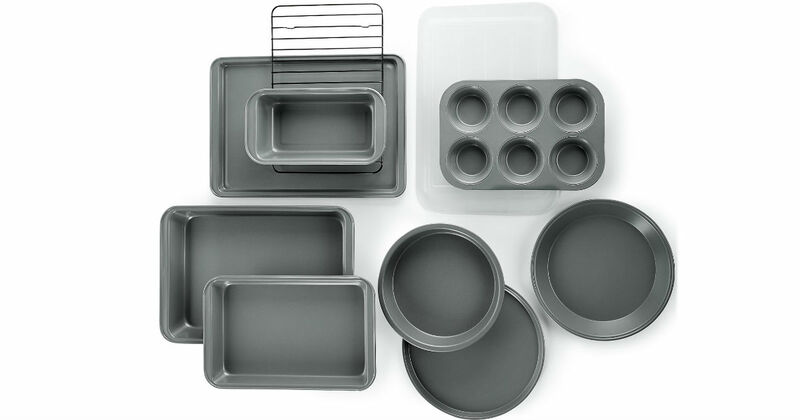 Get your kitchen off to a great start with this bakeware set! Macy's has this Martha Stewart Essentials Non-Stick Bakeware Set 10-Piece on sale for only $19.99 (Regularly $50). The 10-piece set has all the essentials, including a pizza pan. FREE in-store pickup where available, otherwise shipping is free on orders $75 or more.